List Price at Contract: $1,199,500. The Listing from before the renovation and the recent sale of the renovated property can be seen: here. To see pics of each listing open the listing link, click on the main pic, and scroll through. In the original Good Deal or Not (GDoN) post, the listing agent’s remarks for this property note that the house had been “vacant for thirty years”. You can see some images of the home in its un-renovated state on the link to the listing above. 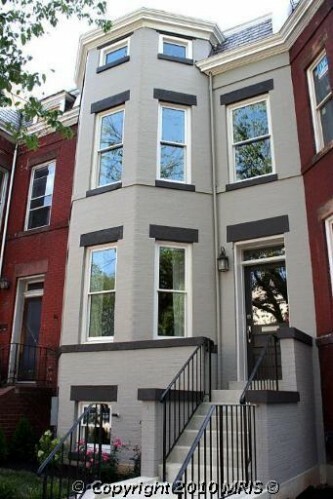 What is truly amazing to me is not so much the transformation of this particular home, but that it makes me think how compared to, say, ten years ago, the number of houses throughout the District of Columbia that have been vacant for many years has been so drastically reduced. Someone mentioned in the GDoN comments that the shell “sat on the market forever”. Listed in September of 2008 for a whopping $795,000. list price, the derelict property weathered 496 days on the market before finally selling to a cash buyer (the recent seller) for $560,000. It settled at that price on the 29th of January 2010 and hit the market as a full blown renovation six months later. What Does this Mean? Will Streetcars be powered by Overhead Wires or not? Or some sorta combination?